Home | News | Promote Autism NOW Digitally – It’s Easy! Promote Autism NOW Digitally – It’s Easy! 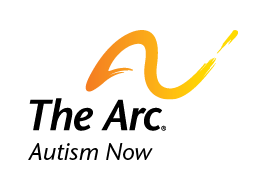 Here at the Autism NOW Center, we want to give you plenty of ways to let other know about all the resources and services we offer. It’s why we’ve created resources to help you spread the word. Now, we’ve added six banners and buttons that you can embed on your websites, blogs and other digital media. Recommend this content Promote Autism NOW Digitally – It’s Easy! Thanks for the comment and enthusiasm about Autism NOW. Unfortunately, we’re not on Pinterest at the moment. You can find us on Flickr, Facebook, Twitter and YouTube. But don’t let that stop you from promoting us on Pinterest! We appreciate it!